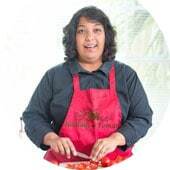 Have I mentioned that I have a love of tomatoes? These tomatoes are oven roasted and I just ate them right out of the baking tray. Oh my gosh! Look at how delicious these cherry tomatoes look! 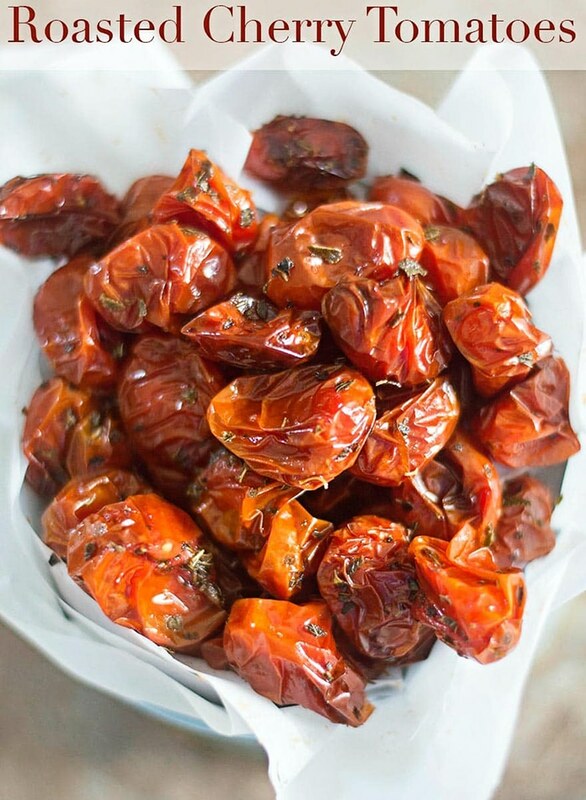 That vibrant red color comes out when you slow roasting these tomatoes in the oven. At any given time, you will always find these tomatoes in my fridge. Either they are fresh or I have roasted them and set them aside for a future recipe. Most of the time, I use them in salads. However, I really like them in this broccoli and pasta recipe. It adds such a delicious tang to the pasta. Sometimes, I add garlic to them when roasting and it is delicious. This time, however, I skipped the garlic because I wanted to use its natural flavors. It will end up in a sandwich recipe, so, it is ok to omit the garlic. The best part of this recipe is that it will work great as a snack by itself. I can munch on these while watching TV or while working on the computer. 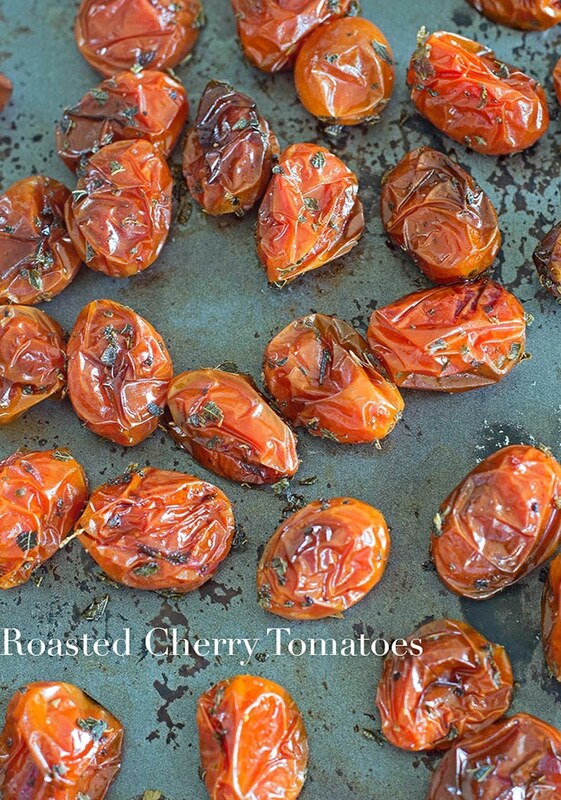 If you want to save a harvest of cherry tomatoes, you can roast them and freeze them in a zip lock back. This frozen tomatoes will be perfect for a pasta recipe in the future. Add avocado and cayenne pepper to these oven-roasted cherry tomatoes to make a delicious tomato and avocado salad. How will you use these tomatoes? 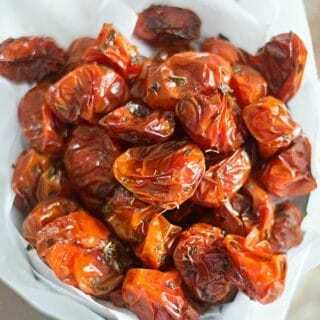 Roasted cherry tomatoes roasted in the oven with fresh herbs.